Mission packs are individual sets of levels, each with a common theme. If you’ve played the halloween extras you’ll have an idea of how this works. Each has new characters, locations, items, objectives, ores, graphics, sounds…. new everything! These are really about expanding the game in new directions. For example, the first mission pack will be rainforest themed and will feature a storyline spread across all the levels. There are puzzle elements and some really interesting new mission styles. Check out the screenshots below for a preview. Mission packs will be sold as an in-app purchase for $0.99 US or the equivalent in your currency. I know there will be some controversy around charging for additional content, but I can assure you a lot of effort has gone into this (over 9 months so far) and I’m confident it represents good value for money. Most importantly, these are not a replacement for the normal missions. I’ll continue to release extra free missions as often as I can. If these mission packs don’t interest you, you can ignore them completely and still enjoy all the features of the full game. A strong theme and ongoing storyline. Categories: News, Screenshots | Permalink. Under the radar last month, Milky Milky and Fire Helicopter got significant updates. Milky Milky has new graphics, including HD fonts and redrawn trucks. Most importantly the mis-alignment of clicks on some devices has finally been fixed. Fire Helicopter‘s wrapped levels now show the opposite side in the background, making it much easier to keep track of fires elsewhere. Many of the graphics have also been redrawn, and there were a few very minor bug fixes. Both Milky Milky and Fire Helicopter are free downloads from the Play Store. Play Gem Miner 1 inside Gem Miner 2! I’ve had lots of people tell me they enjoy Gem Miner 2, particularly the expeditions, but that they miss the old style freeplay. Well, good news, because in the new update you can now play the old Gem Miner: Dig Deeper freeplay mode, but with the new graphics and sounds from Gem Miner 2! Note: to play this mode, you need to have purchased both “Gem Miner:Dig Deeper” and “Gem Miner 2” and have them both installed on one device. On starting freeplay mode in Gem Miner 2, you will now be presented with an option to play “Classic Freeplay” which is an identical version to Gem Miner: Dig Deeper, but using the Gem Miner 2 graphics. A new update for Abduction! Some overdue love for my original Android game today – an update for both Abduction! and Abduction! World Attack. The main change is better support for the larger screens on high-end phones. Backgrounds should now fit the screen properly on all phones, although there are still issues with some tablets. I also remade some of the graphics that have bothered me for a while, like the parachute images and some of the platform graphics. As usual, the update also includes a few general bug fixes. It’s been a while since the last blog update, but Gem Miner 2 has had lots of incremental updates in the meantime. Another 5 new levels today, along with some general performance improvements. Categories: News | Tags: Gem Miner 2, news | Permalink. There have been a couple of updates to Gem Miner 2 recently, adding new items, objectives and levels (including easter themed levels!). 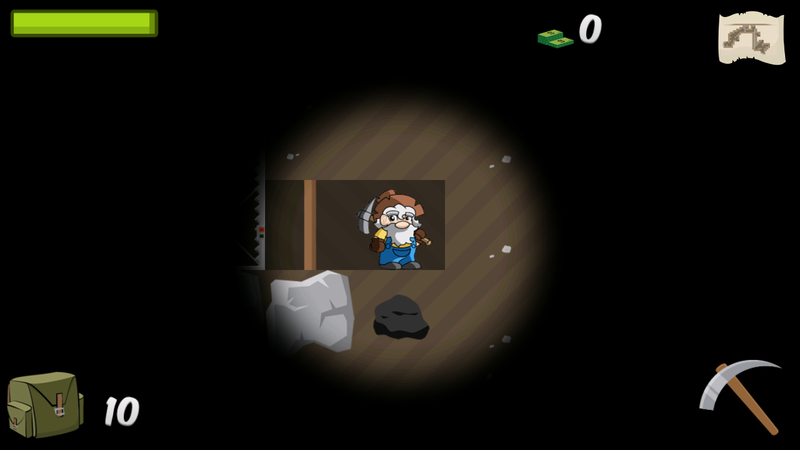 Gem Miner 2 is now available in the Android Market for all territories.